I want to remove the lense and use the product used on murky headlights. I can see three holes where screws should be along the top underside of the cover. The bezel cover is already loose but i don't want to force it out and do damage. Is it possible to just wiggle it out or is there other bits i need to remove too. The are a couple of screws on the bottom holding the bezel to the column bezel. You may need to loosen the dash pad to get some clearance. I am pretty sure the dashpad is the only thing holding the cover in place. If i remember correctly the bottom 2 screws are missing too. They do repo the lens for panel without gauges like yours but do not make lens for trip reset button. You have to cut out and put back. When you are cleaning be careful. I found out that Windex window cleaner takes the paint off the red lens that says Brake. So mine is about gone. You will eventually be taking the dash out of the car I would think. Take the dash pad off. 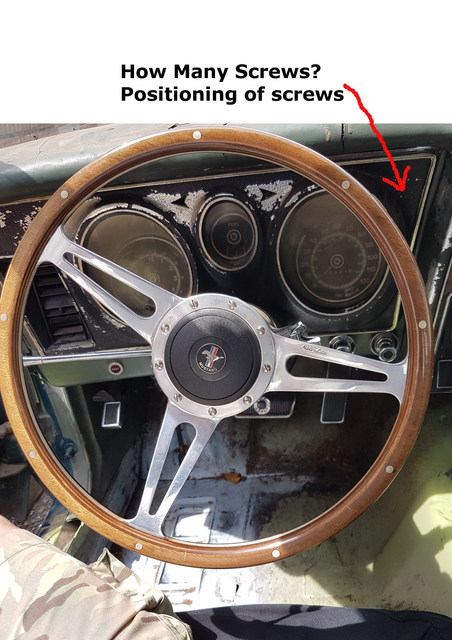 take the four nuts off the studs holding the steering column up and then the screws across the top of the gauge cluster and at the bottom of the cluster. If you do not drop column down it is sometimes difficult to get it out. The speedometer cable unhooks by squeezing the clip. You have to also squeeze the tabs on the wire harness going to the cluster to remove it. Just go slow it comes out with no effort is everything is unhooked never force it. I have to remove the whole dash soon. I know the heater core leaks so thats a job definately needs doing. Dreading pulling the A/C box out as it was a Phoenix car and the entire A/C was missing under the hood.